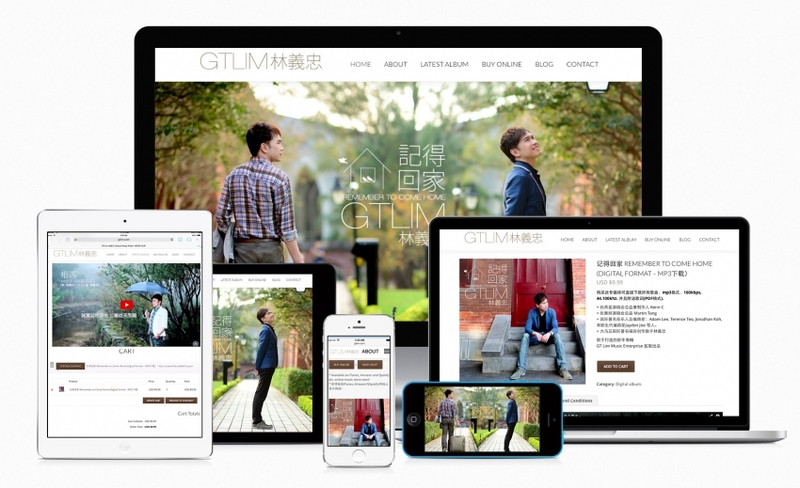 GTLim 林義忠 – Artist’s website with online store for selling digital goods. GTLim 林義忠 – Chinese Gospel Singer ＋ Pastor from Malaysia. 华人基督徒福音歌手，也是牧师. We revised his current website layout to be mobile/tablet friendly, together with brand new online store for selling his album online and digital downloads. User can purchase MP3 and download from his website with secure download links. Personal blog feature, easy to use, and responsive layout that fit into any devices. Online store feature, able to sell all kinds of stuff online with table rate shipping calculation during checkout. Support Paypal or credit card checkout, and support other payment gateway too. Dynamic, customizable, able to sell digital goods with secure download link and limit the download’s count. Easy to update layout theme that can be change from time-to-time when there are new album release to match the new theme.